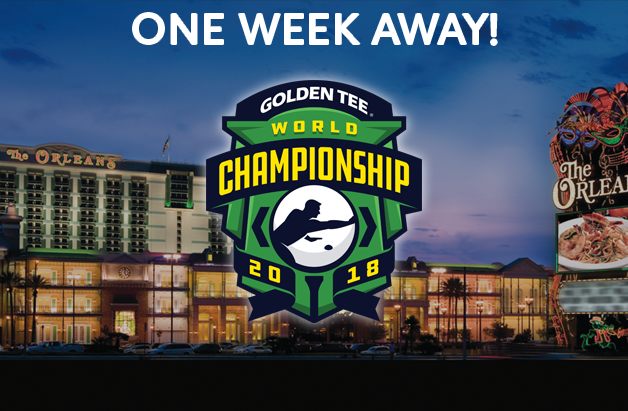 We are officially one week away from the kickoff of the 2018 Golden Tee World Championship! The action starts on Friday, June 8th at 6PM with a LIVE Closest to the Pin event at The Orleans Hotel & Casino! Anybody and everyone is eligible to join and play in this fun kickoff event. It is a $25 entry fee and with that, you will also receive a special 2018 World Championship t-shirt. Not only will be the first place winner of the event take home a sweet $1000 in cash, but they will also receive the 64th and final qualifying spot in the World Championship! In the event that the first place winner of the CTTP contest is already qualified for the main event, the next non-qualified finisher will receive the 64th qualifying spot. On Saturday, all 64 qualifiers will play in a 5 course qualifier (randomly selected out of the 7 courses from GT 2018). Once the qualifying is over, the top 32 players will be placed in the double-elimination Gold bracket (for the World Championship), while the bottom 32 will be placed in the single-elimination Silver bracket. On Sunday morning, the Silver bracket players will compete until we crown a Silver Bracket Champion. Once that happens, the true main event starts. The 32 Gold Bracket players play down until there is just one left; our 2018 Golden Tee World Champion. They will win the $20,000 top prize, add their name to the history books and also have their face added as a playable character in Golden Tee 2019. Spectators are absolutely welcomed and encouraged throughout the weekend. We will have plenty of giveaways all weekend long and all 16 tournament machines will be open for play once the day's event is declared over. 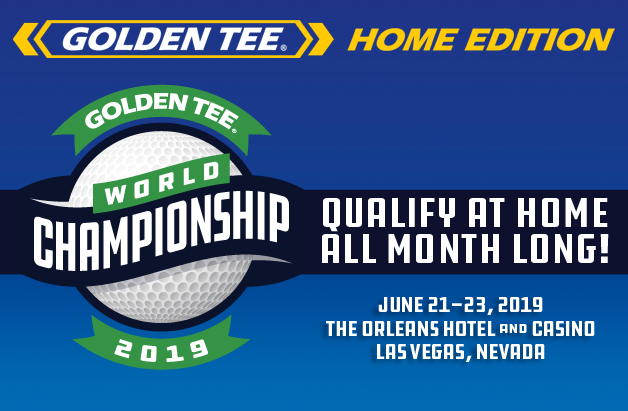 This will be the 10th World Championship in Golden Tee history and there is no doubt that this event will be the best one yet! If you haven't done so already, make sure to check out the latest odds from Boyd Gaming! The Orleans Hotel & Casino has also just released the drink specials for the weekend and we're sure the drinks will continue to flow with these great deals! Be sure to keep checking LIVEWIRE and the Golden Tee social channels for more exciting information as we get closer to the event next weekend!